Join the Equiscript OneWorld Health Mission Trip to Costa Rica! In May 2019, Equiscript and OneWorld Health volunteers will take part in a medical mission trip to Costa Rica. We at Equiscript are particularly excited to participate in this trip because we consider it a continuation of our work in support of the people of Nicaragua, many of whom are temporarily displaced in Costa Rica. Equiscript will support a portion of this trip, and Equiscript employees and employees of Equiscript's clients are encouraged to apply for one of the Equiscript volunteer spots. To apply, simply submit a short video explaining who you are, your qualifications, and why you are interested in volunteering for the trip. You don't have to have medical experience to apply; OneWorld Health needs all kinds of volunteers to orchestrate a successful mission! In 2017, Equiscript announced a major new initiative to support OneWorld Health in building sustainable healthcare in Nicaragua and Uganda. Headquartered in Charleston, South Carolina, OneWorld Health has built medical facilities that have treated more than 200,000 patients since 2011. 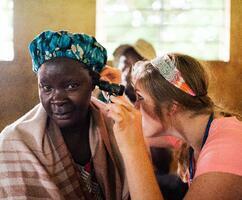 OneWorld Health's Mission is to provide quality, affordable healthcare to people in need. The organization has a unique, sustainable model that provides affordable healthcare to the communities who need it most and does not require ongoing support to keep the doors open. OneWorld Health clinics are designed to be 100% sustainable, requiring no additional donations, within 18 months. Equiscript is a pharmacy services management company that helps covered entities in the United States run 340B home delivery pharmacy programs for their patients. The Equiscript pharmacy programs not only give patients a convenient, affordable service option, they also help keep patients healthier and happier, and they generate a new source of revenue for the healthcare facilities with which Equiscript works. Revenue generated from Equiscript programs helps health centers expand care options in their local communities. Equiscript CEO Mike Burkhold explains his passion for the OneWorld Health project. "As a company, Equiscript's Cause is to improve access to healthcare in the communities we serve. It's right in line with the work our client hospitals and health centers do every day. I see the good work our clients do, and it is inspiring to be a part of it." Burkhold stated. "The more I learned about OneWorld Health, the more I realized that working with them would be a unique opportunity for us to give back, while also expanding our Cause. We want to help, and we want to be part of making quality, affordable healthcare accessible to people all over the world. Working with OneWorld Health is a great place for us to start." In 2017 Equiscript donated more than $30,000 to OneWorld Health. The company makes a contribution to OneWorld Health for each new patient served through its pharmacy programs, and provided funding and volunteers for two OneWorld Health medical missions to Nicaragua in 2017.
healthcare services to the community, delivered by trained nationals and offered at a price point that is affordable to the overwhelming majority of the population. Patient fees offset the costs of running the clinics, eventually meeting or exceeding the total monthly operating costs.